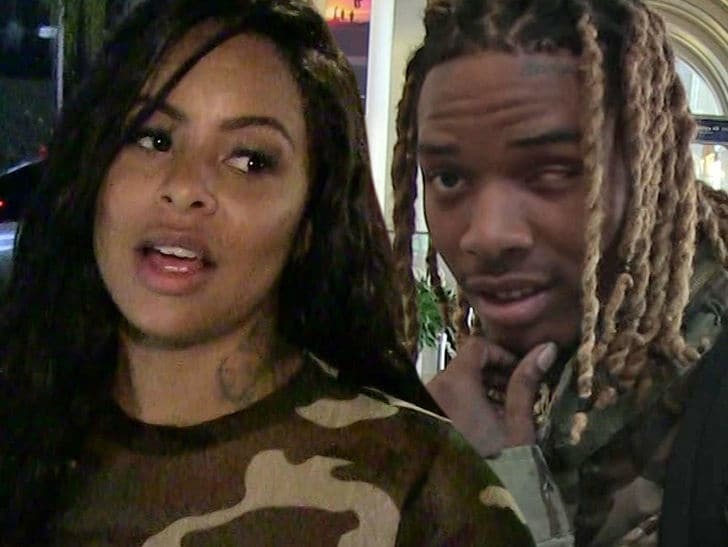 Fetty Wap has some serious baby mama drama … because two of his BMs have major beef, and Lezhae Lowder was arrested after allegedly pulling a knife with the intended target … Alexis Skyy. Law enforcement sources tell TMZ … Lezhae was arrested and charged with misdemeanor reckless endangerment after cops in Paterson, NJ responded to a call about a fight in a White Castle parking lot. Sources close to Alexis tell TMZ … the ‘Love & Hip Hop’ star was partying Thursday night at the New Jersey bar where Lezhae works, and Lezhae tried to fight Alexis as soon as she arrived. We’re told the 2 women eventually calmed down, but Lezhae threw a bottle at Alexis’ car when she was leaving! After the drama at the club, we’re told Alexis went home and her friends went to a nearby White Castle … and that’s when Lezhae pulled up to the parking lot looking for Alexis — and allegedly started throwing more bottles! We’re told Alexis’ friends piled out of their car and Lezhae allegedly pulled out a knife, asking for Alexis … from there, things escalated and a fight broke out! Cops were called at 3:20 AM and Lezhae ended up in handcuffs. Our law enforcement sources would not confirm allegations of bottles being thrown or Lezhae pulling a knife … and Lezhae has not responded to our requests for comment. As you know … Alexis is also beefing with Blac Chyna over Rob Kardashian, and they almost came to blows during a house party! Hopefully, Rob knows what he’s getting into with Alexis … if not, he might want to hit up Fetty.